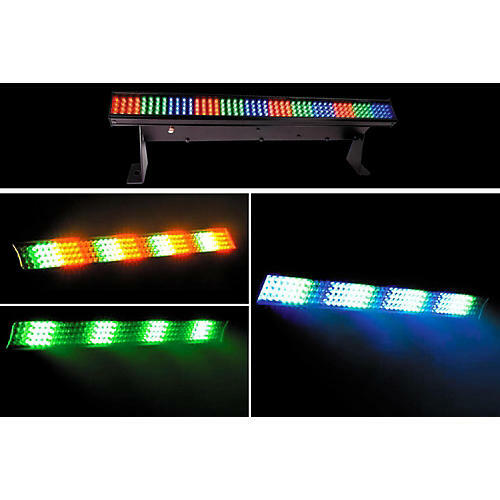 The 19" Chauvet COLORstrip Mini is a 4-channel DMX-512 effect light with a total of 192 LEDs. Static colors and red/green/blue color mixing are available with or without a DMX controller. Chauvet COLORstrip Mini offers blackout, static, dimmer, and strobe options and also includes built-in automated and sound-activated programs operated through master/slave or DMX modes. Link up to 31 COLORstrip units in master/slave mode for a color-changing runway effect.